Maybe you would like something special made for an occasion such as a birthday, wedding or christening? Something in silver or perhaps in gold ? Plug socket/light switch for an electrician ! You can arrange an appointment to visit me at the workshop to discuss ideas and design something specific... or I can work with your own designs. 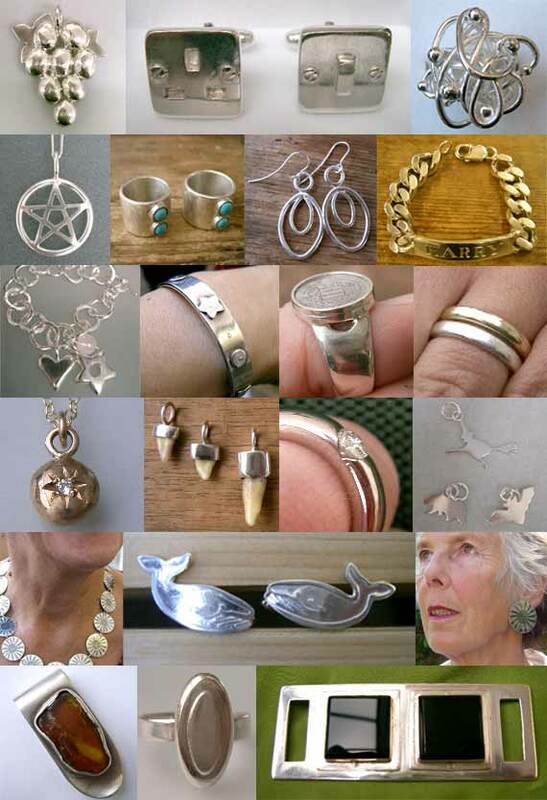 It is also possible to make a new piece of jewellery by melting down and recycling your old silver or gold. Feel free to enquire about repairing your broken jewellery or replacing a lost earring !